Our guide to Door Locks offers detailed descriptions of companies such as Signature Hardware and Rustica Hardware. Grothouse Lumber mills chopping blocks and butcherblock countertops to order. A custom carpentry shop also produces millwork, doors, furniture and cabinets to order. Online seller of kitchen and bath fixtures and faucets, cabinet and door hardware, ironing centers, mailboxes and other diverse items. This Charleston company has four foundries, a lock maker, a glass maker, a ceramics maker, and a plater. 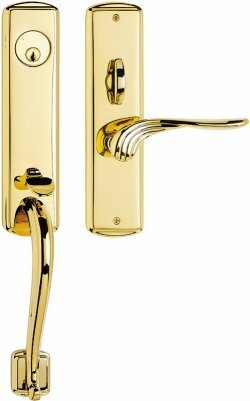 Its craftsmen produce reproduction hardware for doors, windows, kitchens, baths and gardens. Stock items include a line licensed from the Historic Charleston Foundation. The company also reproduces antique hardware for restoration projects.